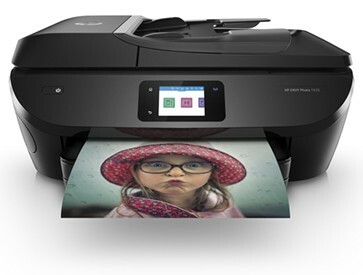 All-in-one Printer Envy Photo 7830. Printen, scannen, kopiëren, web, foto, Touchscreen. Formaten A4; A5; B5; DL; C6; A6. Invoercapaciteit 125 vel. Hi-Speed USB 2.0. Wifi. Apple AirPrint. HP ePrint.